Feyenoord missed the chance to make ground on the Eredivisie top two after losing 3-1 at PEC Zwolle on Saturday. The Rotterdam side would have moved to within nine points of leaders PSV Eindhoven and seven behind second-placed Ajax with victory over the strugglers. 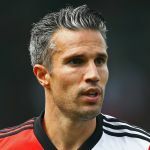 However, despite Robin Van Persie’s 35th-minute equaliser they are still left seeking their first league win since December 9. Bram Van Polen, Vito Van Crooy and Younes Namli were on target to give Zwolle a win which lifts them out of the bottom three. The top two are in action on Sunday when PSV to go Emmen while Ajax host Heerenveen. Elsewhere on Saturday, AZ Alkmaar climbed above Utrecht and into fifth place with a 3-0 home win, courtesy of goals from Ricardo Van Rhijn, Mats Seuntjens and Calvin Stengs. Patrick Joosten scored twice as VVV-Venlo won 4-2 at 10-man ADO Den Haag. Sheraldo Becker’s 14th-minute goal had the hosts ahead, before Joosten turned things around with goals in an eight-minute spell either side of half-time. Although Erik Falkenburg levelled just past the hour, the hosts had Robert Zwinkels sent off with nine minutes remaining and VVV made the extra man count inside the last six minutes through Peniel Mlapa (penalty) and Jay-Roy Grot. Groningen improved their survival hopes with a 3-0 win over Heracles. Samir Memisevic opened the scoring with a 13th-minute penalty before Thomas Bruns netted twice in quick succession in the second half.